Hillsdale's Cameron collection beautifully combines a warm chestnut brown wood finish with a dark grey metal and offers a multitude of choices to create the perfect dining group for your home. 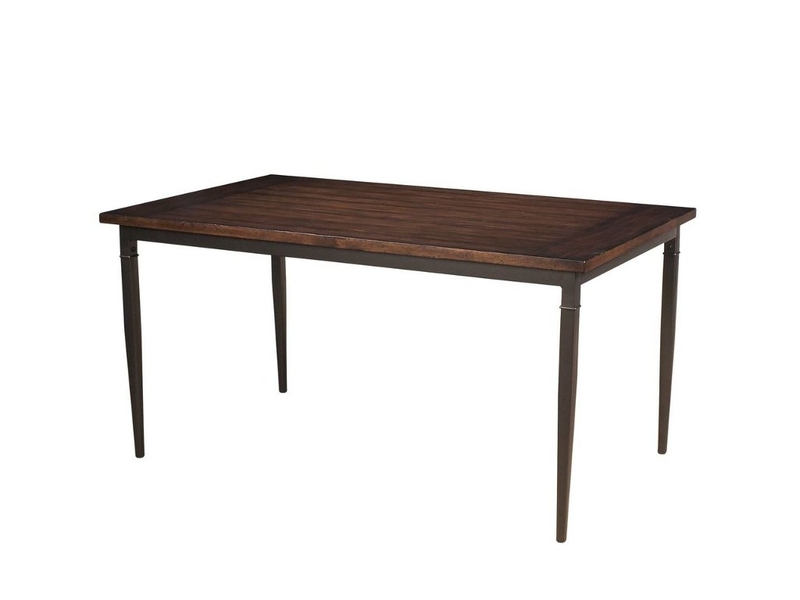 The stunning rectangle table features a wood top that is generously scaled to easily accomodate six. Page P3224 Copyright © 1999-2019 GammonVillage Inc., USA. All rights reserved.